Are you a parent of a gifted child or are you wondering if your child might be gifted? I am sure that you, like all of us, struggle with many common parenting problems and some problems unique to the challenges of gifted. Where can you get help? This is the topic of the month for bloggers writing on topics of giftedness. My child is very intelligent, yet she throws big tantrums over smallest things. My bright child only does what he wants to do and does not follow instructions. My child knows school material, yet he or she struggles with homework and with school assignments. My child is very shy and does not play with others. I worry that she might be autistic. My child is very bossy and does not pay attention to social cues. My child is hurting himself or others, and I do not know how to make him stop. My child does not seem to ever play by herself. She always needs adult company. I do not know how to challenge my child appropriately. My child is extremely disorganized. Where do you turn for help when confronted with something that you cannot control or when you are not sure what you should do next? I recently wrote a post with 10 online resources for parents of gifted kids – great websites and communities where you can obtain more information and meet parents just like you. 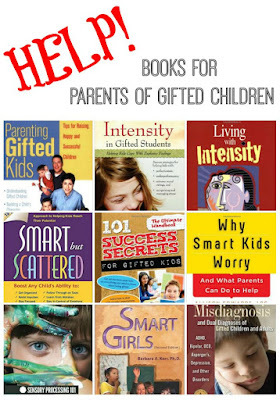 But today I want to talk about books – books for parents of gifted kids and gifted kids themselves. Parenting Gifted Kids: Tips for Raising Happy and Successful Children by James R. Delisle is a sort of a “primer” for parents of gifted children. I read this book when Smarty was about 5, and I still reread it occasionally. I like that this book does not focus on how to test your child for giftedness and assumes that you, as a parent, know simply by your gut feeling or through comparison that your child is intellectually gifted. It does talk about helping children achieve academically, but it also helps kids and parents get through emotional storms of being gifted. It's a very good read for parents regardless of whether your child is well adjusted or struggling. I vote Smart but Scattered by Peg Dawson and Richard Guare as the most “personally useful” for our own family. The book does not really talk about giftedness and applies to any child, but it brilliantly explain the concept of executive skills, how they are different from pure cognitive skills, and how their deficits can explain the struggles of otherwise bright children. Smart but Scattered contains specific assessments to help parents understand strengths and weaknesses of individual executive skills and has heaps of practical advice on how to help children improve their executive skills and mitigate weaknesses in specific areas. 101 Success Secrers for Gifted Kids by Christine Fonseca is different from all other books on this list, because it is targeted towards gifted kids themselves. I am ordering it for Smarty’s birthday, because I looked at the first few pages in Amazon preview and immediately connected to “secret #6” that I really want my daughter to internalize, “Use your gifts kindly”. Many parents of gifted kids struggle with how their kids express their emotions. Sometimes only parents know that side of their child who seems very “together” and “organized” in school and then “loses” it at home. Emotional Intensity in Gifted Students, also by Christine Fonseca, explores this side of giftedness and helps both parents and teachers understand their “gifties” better and possibly find strategies that make dealing with difficult moments easier for everyone. Living with Intensity by Susan M. Daniels and Michael M. Piechowski is also devoted to the topic of gifted overexcitabilities, but it does not just explore what happens in the childhood. Giftedness is often an inherited trait, so many parents might understand better their own intensity and why certain quirks of their children really push their own buttons making it difficult to help children manage their emotions and behavior. As a gifted adult, I think often about challenges of raising a gifted girl in the United States, the country that still has very conflicted social messages to girls and young women about what their role in society and their “appropriate” career path should be. I read both the positive and negative reviews of Smart Girls by Barbara A. Kerr and put it on my library order to skim through when I have time. I have not met a gifted child (or adult) yet who is not a worrier. Some of us worry about the future, some question decisions made in the past, some agonize forever over even minor decisions. One of Smarty’s gifted friends is a very serious, intelligent girl who has frequent headaches and stomach problems. What can parents do to help? 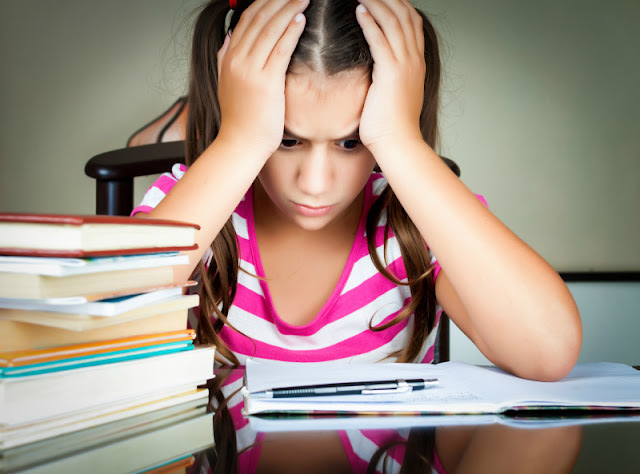 Why Smart Kids Worry by Allison Edwards offers some strategies to help anxious gifted children. I wrote about some of our own ways to deal with anxieties earlier on my blog. Do you feel that your child is a “little bit too much” in his or her response to textures, noises, or tastes? A new book Sensory Processing 101 by Dayna Abraham, Claire Heffron, Pamela Braley, and Lauren Dronnjak explains sensory processing and offers specific activities to support development of every sensory system. It’s a “must read” for parents of gifted kids with sensual or psychomotor overexcitabilities. We were blessed with a healthy child who doesn’t suffer from mental states that sometimes come as “the dark side” of giftedness. However, I want to recommend Misdiagnosis and Dual Diagnoses of Gifted Children and Adults to parents who struggle to get appropriate help for their 2E children and decide on the best treatment methods. Did you have times when you felt you need help dealing with your gifted children and where did you go for help? This post was written as part of Hoagies Gifted Blog Hop series. Follow Hoagies Gifted on Facebook and see other posts on how to get help shared by my fellow bloggers. Great list of resources. Thanks! Great resources! Thanks for pulling this together.